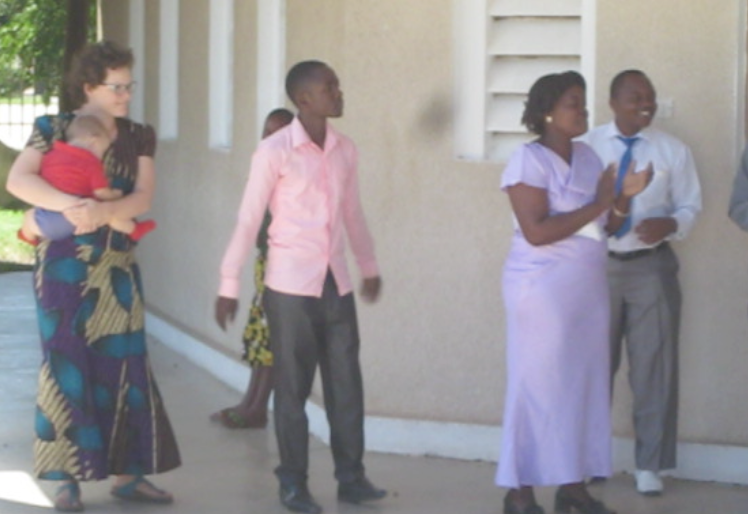 As I blogged here, there’s a range of church experiences in Tanzania. One exercise we did in our intercultural training was to observe without moving to evaluation or explanation. It’s a practice I’ve continued. Here’s some of what I’ve noticed about our church. People only sit on one side of the church, the right hand side. The left hand side is not roped off or anything, but no one sits there. Movement is a part of the service. The singers up the front sway in time, people clap, a few people dance. The music comes from synth pads on an electric keyboard. There is a songbook but it is used for a max of 1 song per service. Apart from the Bible, there is no other reading. Apart from ‘Bwana Asifiwe / Amen’ (The Lord be praised / Amen) there is no spoken liturgy. Songs are call and response. The leader sings a line and the congregation either repeats it or responds. Despite the one-line nature of the songs, many of them are profound. The main line of one song is ‘I do not see like Jesus.’ This was a joyful song. There are also songs of love to Jesus. These normally involve less movement. People often close their eyes. Some raise their hands. Men are more likely to dance than women. Some of the older women ululate. There are more women in church than men. There are a number of women who come with their children but not with a partner. All preaching is done by men. I’ve only seen blokes lead the service. A woman often does the call bit of the songs. Both men and women pray publicly and give testimonies. To do the offering, everyone files forward to place their money in a box up the front while everyone sings. Despite this being a public act, the amount people give is not. You can’t see what people are putting in the box. At the end of the service, the singing continues as everyone files out of the church. They shake the preacher’s hand, then join him so that a line forms and everyone shakes everyone else’s hand. The song is finished outside (without music) and then someone prays.